Until I was invited to join the My Mind's Eye Design Team, I had only a handful of 6x6 paper pads and storage of them wasn't given a thought. I don't know why I didn't have more at the time, because I've found that they're great starting points for card designs and mini album pages, not only for their size, but because their patterns are scaled down. Remember when I showed you my washi tape storage solutions? 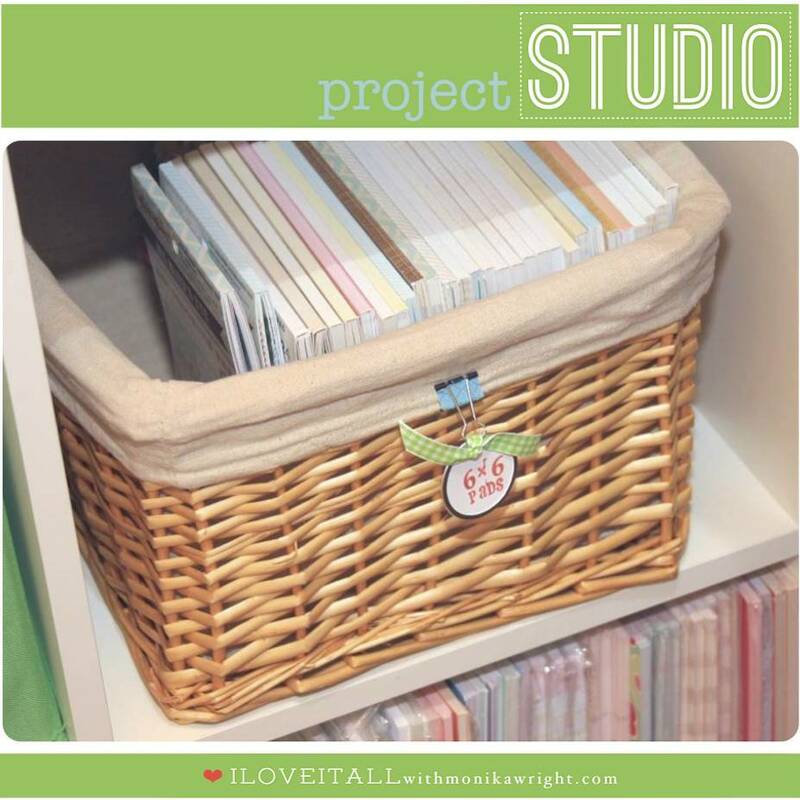 I even have room for that wild mess of book binder rings in the back of this basket, that is until more 6x6 paper pads arrive on my doorstep!